A couple hours ago I filled up my black moleskine journal (could I be a bigger writer cliché?). The last page has a poem on it. It’ll probably never see the light of day, just like a good 50% of the poems and story snippets that fill my journals. I’ve been writing in journals and on random scraps of paper since I was in high school. The first poems I wrote were short, usually 3 or 4 stanzas, 4 rhyming lines each. They were terrible. But they fit the college-ruled notebook paper I had at my disposal. There was a time in my life when I was filling up a poetry/random writing journal at least once a year, if not more frequently. In one of the three boxes I own, there is a stack of journals that date back to my freshmen year of college. The growth in my style and talent is pretty dramatic. The differences between my first journal and the most recent could probably be held up as conclusive evidence of evolution. They’re completely separate species. 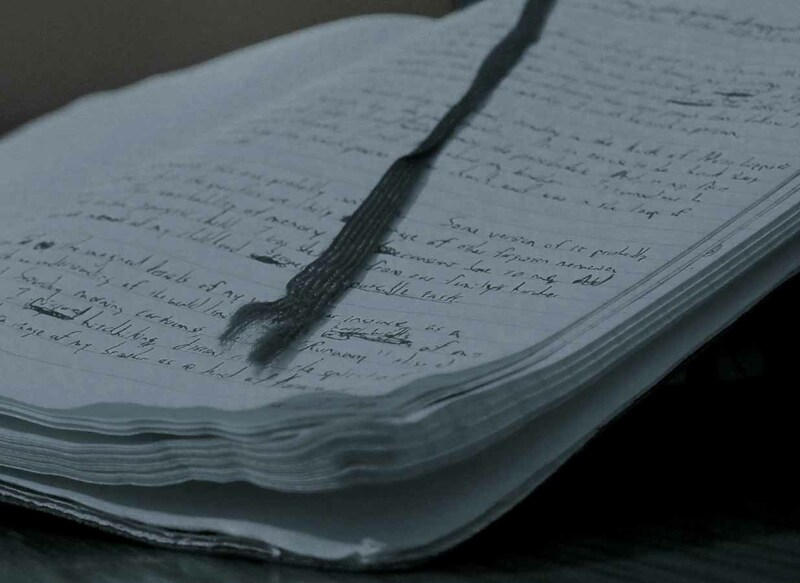 Going back through a journal is always a revealing way to revisit a period of your life. I’ve never been a diary kind of person. Even with this blog, I rarely write this kind of post, the ‘what happened to me today,’ type. But looking through this most recently completed journal was very strange. A little sad. This moleskine dates back to my time in Chicago. I must have started it quite recently after I moved there. The first thing I wrote in it was a brief short story that I posted years ago: ‘Ground Zero.’ It’s not a particularly remarkable story, I don’t think I ever seriously tried to get it published. It’s barely an idea. But it’s the leadoff hitter in a journal that traces my years in Chicago, Nashville, and Seattle, as well as most all of New Orleans. That’s a prestigious slot. In this notebook are the remnants of 4 cities, 3 relationships (and some not-relationships), countless cycles through depression and hypomania. There are poems aplenty, but also short stories, chapters of novels (finished and unfinished), the occasional attempt to write about my day and even notes to ex-girlfriends that have never been read. There’s love in the pages, but also hate; joy and sadness; fear and elation; a man looking back, and a boy looking forward. I used to be able to trace my evolution from one journal to the next, but with this journal spanning 4 years, it’s a little disconcerting how much has not changed. There are different locations, new names and faces, even contrasting stylistic choices in the way I write. But for all those surface modifications, the narrative in the words and images is so cyclical it’s dizzying. In one reoccurring theme, I giddily pursue the wrong woman, hit rock bottom, climb back up, start anew, do it all over again. Or, I trudge through loneliness in a new year, find friends and acceptance, begin to feel caged and then leave, only to reenter my isolation. I suppose all lives are like that to some extent. We all have our habits, some healthier than others. Even when we break with old patterns, it’s usually only to create a new one. How many times do we stop and think, “Why am I having this same fight, again?” We’re all Sisyphus pushing that same damn boulder, even when it’s up a different hill. I like to pride myself on my adaptability, my ability to evolve and grow as a person. And I think I have grown, considerably. But in many ways, I’m still the same person who left Kansas 8 years ago. I don’t like to admit it, but the proof is in the Moleskine. Ah well. Does anyone have an extra journal they could give me? I recently wrote a journal entry about having filled a previous journal as well! I read through it all and found, to my shock, four specific themes, which I have kept in mind ever since and tried to work my life around as a result. I love these periods of reflection. Reading an old journal is always a bizarre/funny/terrifying experience.